and some step-by-step pictures of how to make it. 1. 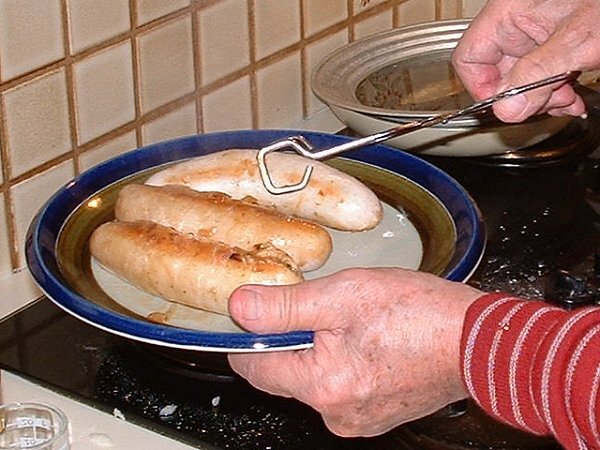 Pierce the sausages with a needle or sharp tined fork and brown them in a skillet. 2. 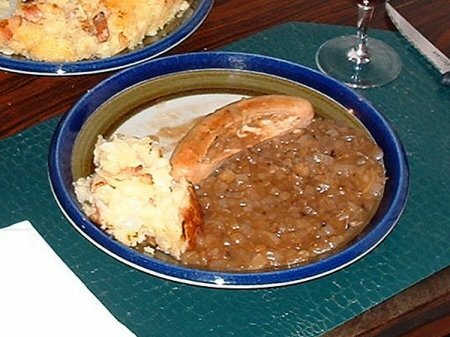 Remove the browned sausages to a plate and place them in the oven to keep warm. 3. 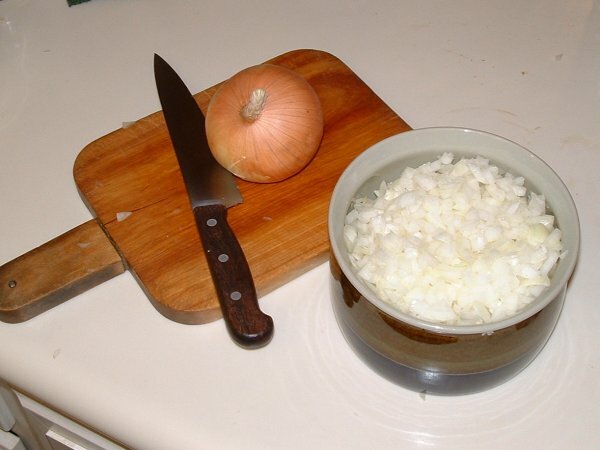 Thinly slice the onions and chop fine. There should be no large chunks. 4. 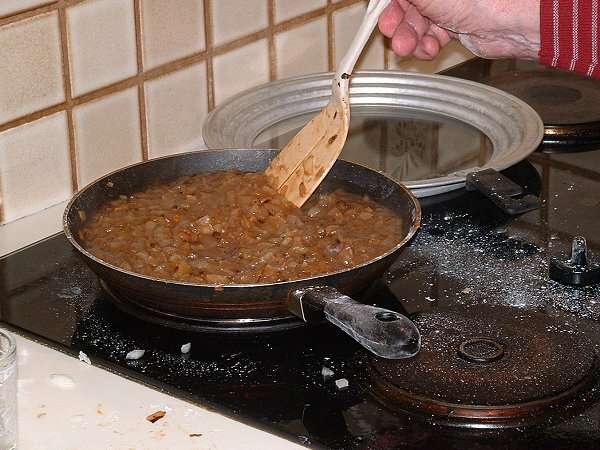 Saute the onions until they are transparent and slightly browned. 5. Sprinkle a generous pinch of flour ontp the onions. Add the water, bouillon, and sugar. If you want, add the paprika. Grate fresh nutmeg on the mixture and stir until the sauce thickens to the right consistency. 6. 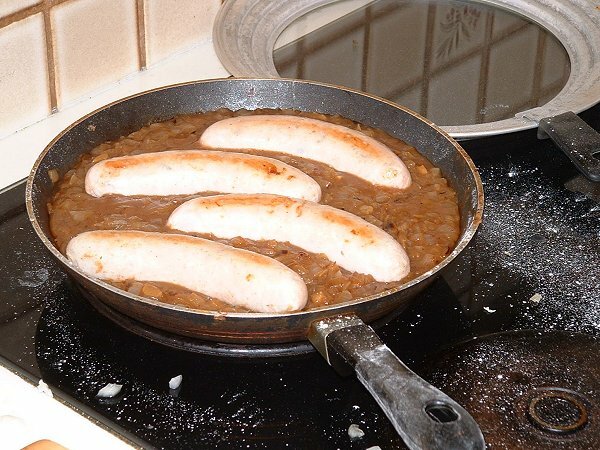 Place the browned sausages into the sauce the heat them. 7. This sauce is great with any sausage or brat. 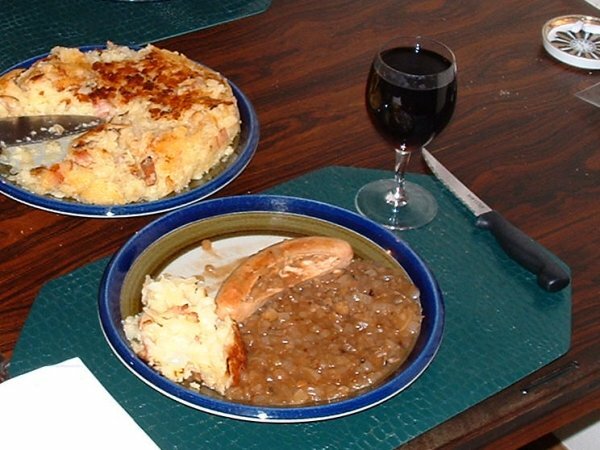 Swiss rosti (pan browned potatoes) is excellent served with the sausage and onion sauce. 2. Use a very generous "pinch" of flour. to help it desolve more rapidly. 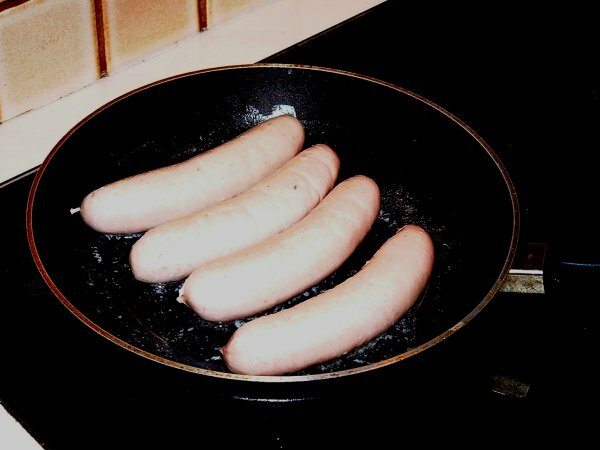 Yield: Four sausages to serve 2 to 4 people.